The Major Cinema, a new luxury picture theatre , which has been built at Edwinstowe by the Warsop Theatre Company, was opened on Bank Holiday. It will fulfil a long felt need on the part of residents in the village and district, and also be an acquisition to the amenities for visitors to the popular spot. 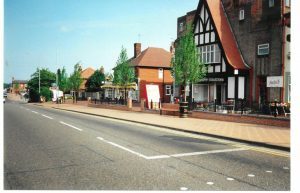 The Cinema, which occupies a central site at the junction of West Lane with Peafield Lane, was designed by Messrs, Bocock and Kirk of Toothill Lane, Mansfield., and the main contractors were Messrs Alan Eastwood and Sons of Warsop. 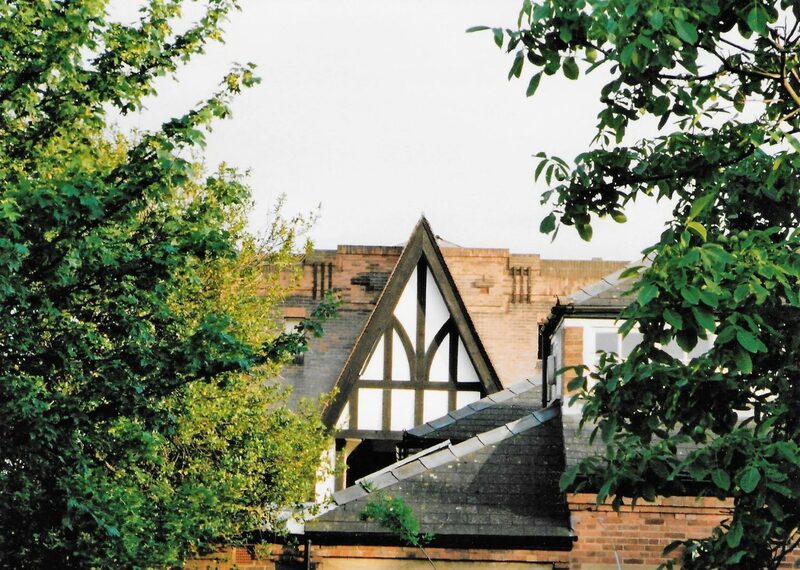 The architects have aimed at a structure in keeping with the general surroundings and the result is a pleasing front of oak half-timbering and buff brickwork. 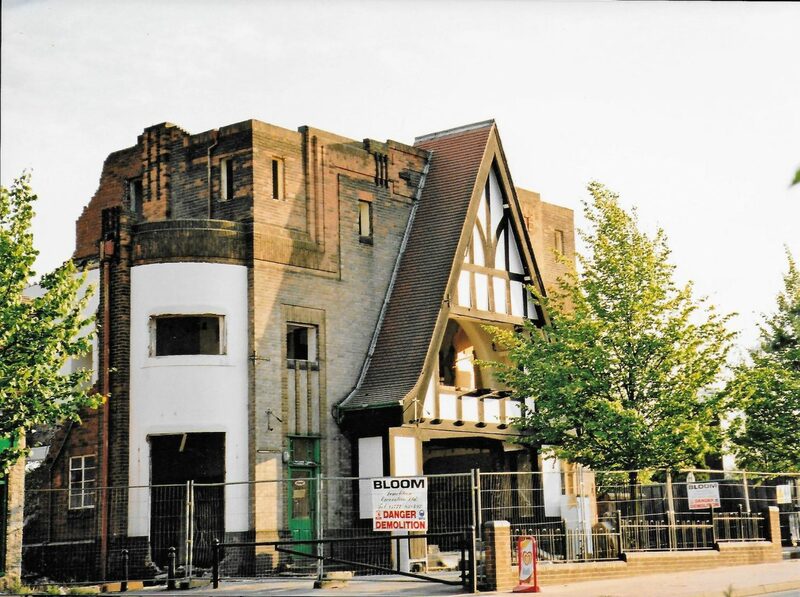 The construction of the cinema is entirely of British steel framework, concrete and brickwork, and all the latest devices for the comfort, convenience and safety of the public have been incorporated. Seating accommodation is over 600 – 400 on the ground floor and the remainder in the balcony- and on the same level as the balcony there is a café. The lighting system is concealed after the latest practice and, together with a tasteful scheme of decorations, gives a soothing effect. The projectors are Kalees and the sound system is the Western Electric’s “Wide Range”. On Friday evening shareholders of the Warsop Theatre Company, together with a number of invited guests, attended a private showing of the film, “First a Girl”. 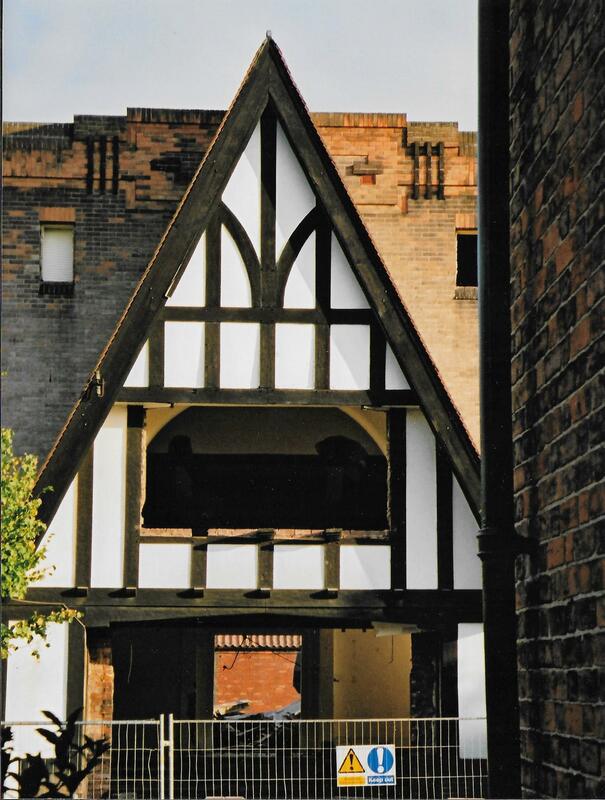 Afterwards a dinner was held in the Dukeries Hotel to mark the occasion of the completion of the building. Mr. W. Eastwood, J.P., chairman of the directors, presided. Submitting the toast of “The Cinema Industry” Mr. C.E. Woodward (manager of Thoresby Colliery) congratulated Mr. Eastwood and his Co-directors on the new cinema, which was a very great credit to them. 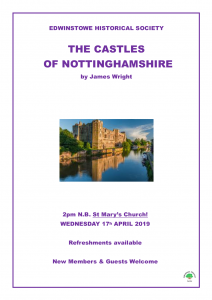 He thought it would be appreciated both by the people of the new village, which belonged to the Bolsover Colliery Company, and of the old village, who would be able to see good pictures on the spot, without having to travel to other places for their entertainment. He remarked that the cinema industry was giving more and more employment to people in England now that British films were competing successfully with the American product. They were all aware of the extraordinary influence films could have on some people, particularly those who had little or no education, and he had been told the present trouble in Spain could be attributed to the influence of films. 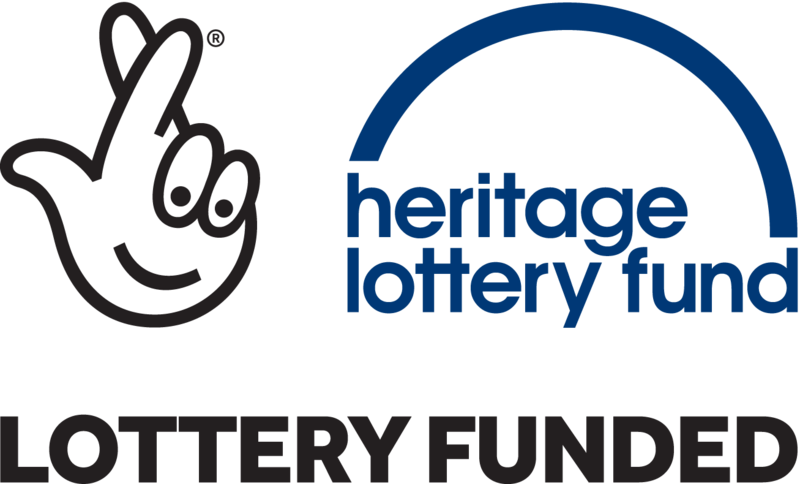 The Colliery Company had a number of young people’s organisations in the village and went to a lot of trouble trying to make young men and women into good citizens. He hoped the management of the Major Cinema would allow the best type of film and not a lot of rubbish that would influence the young idea in Edwinstowe the wrong way. It was with much sadness I read in the Acorn of the “Last days of the Major” on Mansfield Road. I remember the cinema being built in 1936, when I was 13 years old. 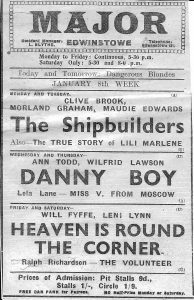 I have such fond memories of the cinema, as I was an usherette there in 1940 – 41. Yes, I remember selling Eldorado ice cream choc ices in the interval. Ena Lowe and Mabel Furness were in the pay box. Seats cost 3d, 6d, and 9d for the balcony. The uniform was green and gold. In later years my boy friend’s took me to the cinema. Then my husband and I held hands in the double seats on the back row. Our pay was 12/6 a week. The passing of an era! Many of you who read this will regret the heap of rubble that was once the Major Cinema. The opening of this magnificent edifice, in 1936, opened up a new world of glamour, romance and new places undreamt of previously. The magic screen transformed the mundane, everyday life of our small farming and mining community. Luxury in abundance – red plush seats, wall-to-wall carpeting, a sumptuous Art Deco interior with fairy tale lighting, two wide, majestic staircases, polished wood, embellished with gleaming brass fittings… and all this before we saw a film. 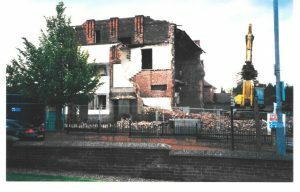 How ‘posh’ Edwinstowe had become!! We all loved to go to ‘the pictures’, which were screened twice nightly, changing programmes three times weekly. Young and old were seen flocking every night (but not on Sundays-this came later) towards Mansfield Road for their evening entertainment. We children had our own wonderful ‘tuppenny rush’ on Saturdays. We were enthralled, no bad behaviour, we were all too engrossed in the magical world unfolding before us. We staggered out into the bright light of day, excited and longing for the next instalment, to see the rescue and outcome of the inevitable cliff-hanger, Tarzan being attacked, our favourite cowboy about to be shot by Red Indians or, horror of horrors, our heroine tied to a railway line. Adults (accompanied by children, if we were lucky) watched Nelson Eddy and Jeanette Macdonald serenade each other in Rose Marie. The ladies discreetly wiped their eyes at Clark Gable and Vivien Leigh as their romance died in ‘Gone With the Wind’. Laurence Olivier, Bette Davis and others became our screen idols. Technicolor was an amazing revelation. We in our tiny village had never realised that the sea was so blue, the grass was so green, or that coconuts grew in wonderful palm trees, with grass-skirted maidens dancing on the beach. Then came World War 11 and the residents were at different times joined by British troops from nearby camps, American soldiers, German and Italian Prisoners of War and Displaced Persons from the Eastern European Countries. The queues to get into the Major Cinema had become lengthy vigils stretching four deep to the gates of the Cenotaph, but nobody complained, just chatted of world events whilst awaiting their turn. 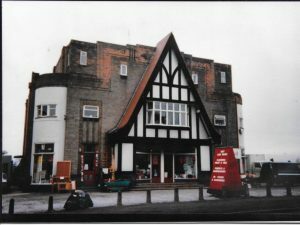 The Major was now the focus of the village entertainment, plus, of course, the beloved Saturday night Whist Drive and Dance at the Welfare Hall. We roared with laughter at Abbott and Costello, roamed the range with Gene Autry, Hopalong Cassidy and others of similar ilk. News of world events was brought to us by the Gaumont British Newsreel, and we watched with disbelief and sorrow when our men were seen to be fighting so bravely in those foreign fields. Hollywood brought us the world of make-believe, ‘South Pacific’, ‘Annie Get Your Gun’, ‘Seven Brides for Seven Brothers’, ‘The King and I’, ‘Wizard of Oz’. We marvelled at the dancing of Fred Astaire and Ginger Rogers, dreamt with Judy Garland, sang with Mario Lanza, Doris Day & Frank Sinatra. During all these years the Major was managed by an extraordinary gentleman, Mr Len Blythe, always immaculately attired in black suit and bow tie. He ruled with a rod of iron – any fooling about and you were out. However, one look and one chin thrust was usually enough to quell the most outrageous behaviour. His staff of usherettes were smartly turned out in gold and green uniforms. 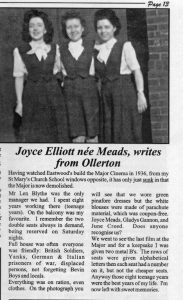 Shall we ever forget the Eldorado choc ices, dispensed in the interval by these ladies, mouth-watering, after a wartime diet. 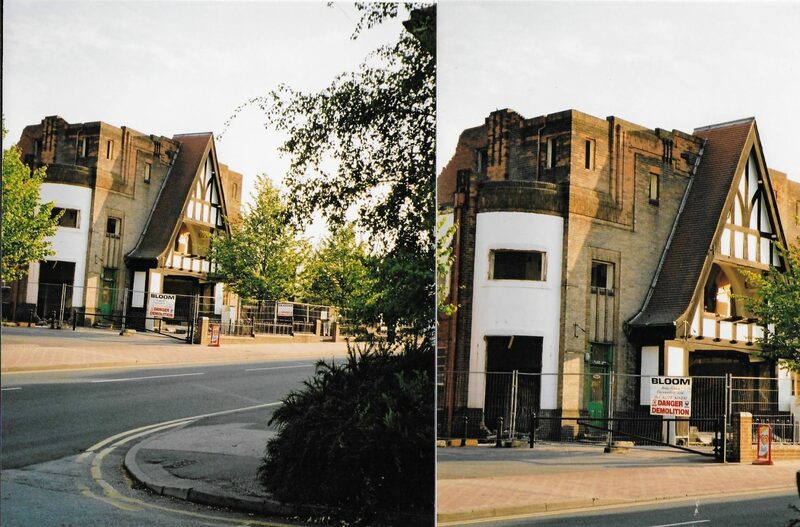 July saw the last days of the old Major Cinema on Mansfield Road. 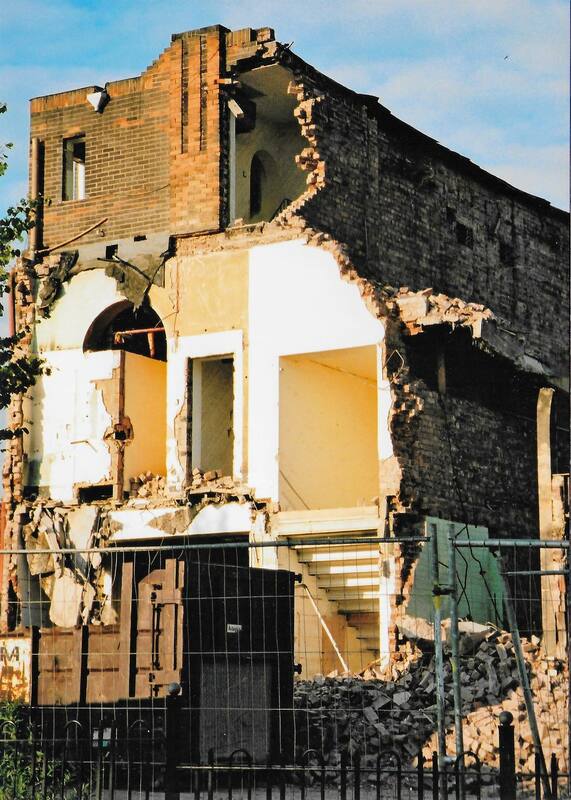 With the interior cleared out, windows removed and everything reduced to and outer brick shell, I was allowed inside by demolition staff before the big machinery raised the building to rubble. Workmen had commented on what a solid well-built construction it was. I entered the building off West Lane where the sliding door had been, and stood in the middle of the downstairs seating area, looking up at the remnants of the huge girders that once supported the balcony. I walked to the huge recess where the screen once was, turned to face the invisible audience and, looking around, realised just how vast the cinema away from the screen I turned right and climbed the concrete stairs leading to the balcony. I continued upwards and turned. I stood looking through the view-hole, easily imagining the projector whirring away beside me whilst a full house enjoyed the latest movie below. Turning around, I leaned out of the large glassless window that overlooked Mansfield Road. I carried on upwards, via a smaller staircase, and, reaching the very top of the building, looked out through the smaller east and west corner windows. What a view! 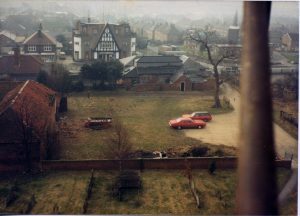 gazing down over the Fire Station roof, looking out over the Village Hall into St Mary’s churchyard, admiring views of Manor Farmhouse, Thoresby Colliery and glimpsing the now-forested colliery tip at Ollerton. I must have been one of the last people to have seen these fine views. I took a few photos, and made my way back downstairs. 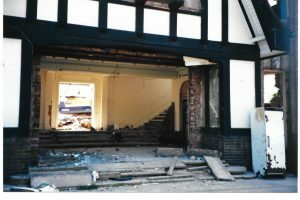 One week later the seating area had disappeared and a workman, safety harness attached, was lifted high in the bucket of a digger to cut through the upright girders supporting the front of the building. August 1st. The Major Cinema and its views over the village were gone, apart from the few I captured with my camera. The thousands of bricks had been crushed on-site and only a small heap remained. The footings for the new flats replacing the cinema were already beginning to take shape. P.B.J.S.